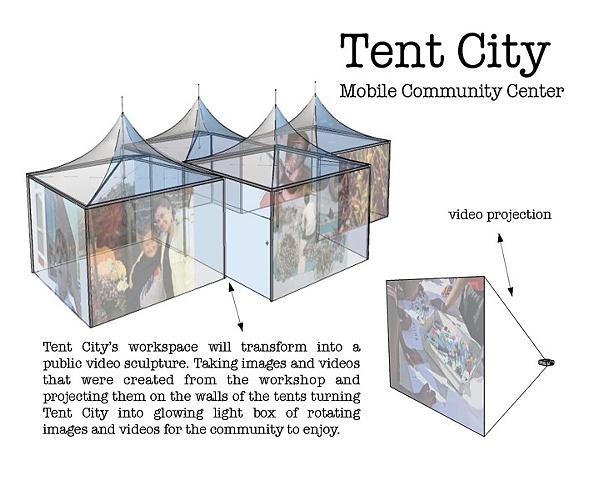 In collaboration with Kiersten Torrez, Tent Cities are a human phenomenon occurring throughout history and in every culture. 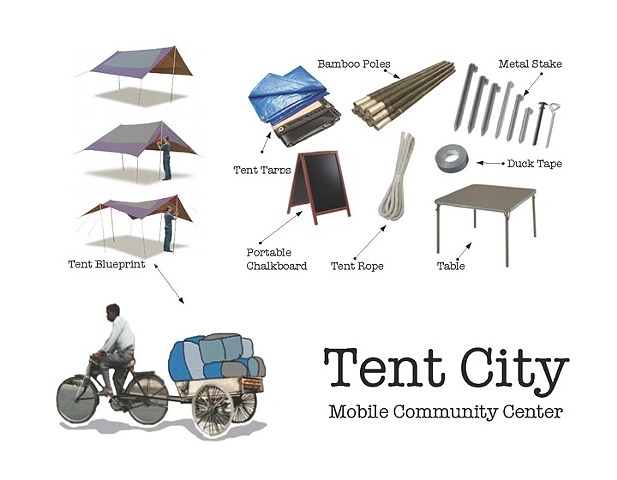 Tent Cities are erected in the aftermath of natural disasters, during festivals, and most recently a tent city played an integral role in the Egyptian revolution. 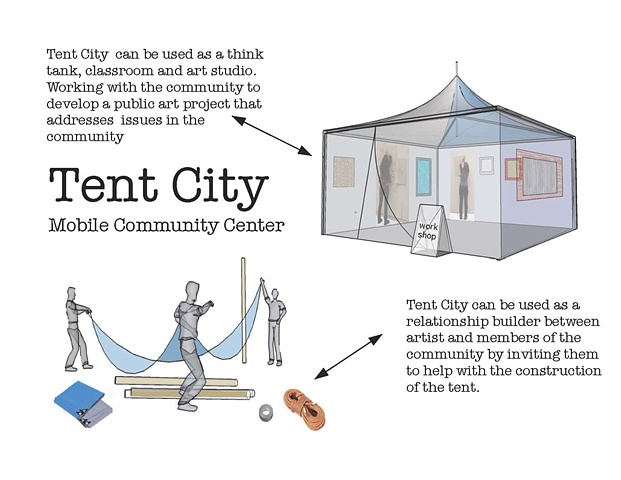 Taking this basic form of architecture as inspiration, Chavez created Tent City Mobile Community Center, a do-it-yourself think tank that will be used as a space for empowerment, community outreach, and public art.